Found another stone freak I’d rather be, had I his talent. 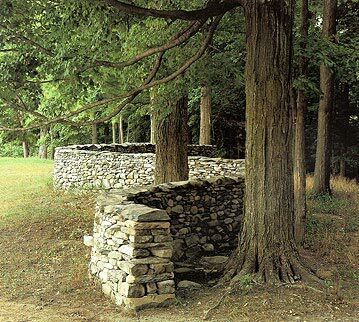 A client lent me the book WALL by Andy Goldsworthy, and now I’m hooked on the guy. 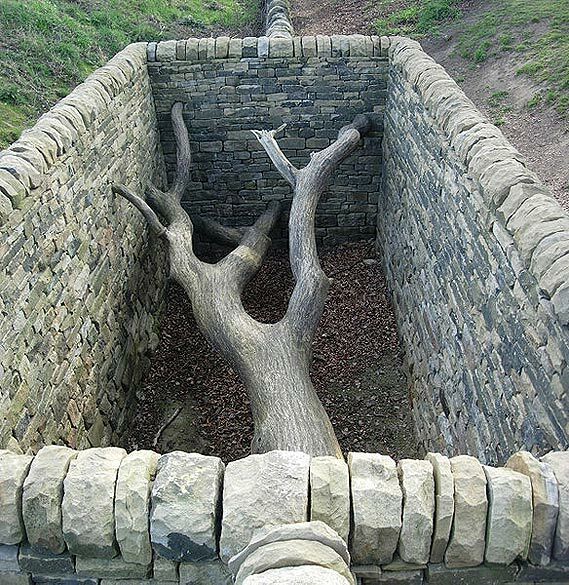 Born in 1956 near Leeds, England, sculptor and photographer Goldsworthy has evolved into what I term a “naturalist artist,” whose work immediately infuses the senses with primal, glorious inspiration. 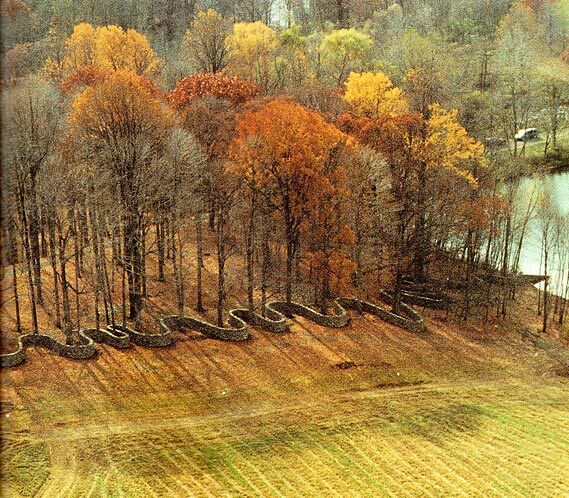 WALL chronicles the construction of a 2,278-foot stone wall that weaves – boy, does it weave – through the Storm King Arts Center, a sculpture park on the Hudson River in Mountainville, New York. 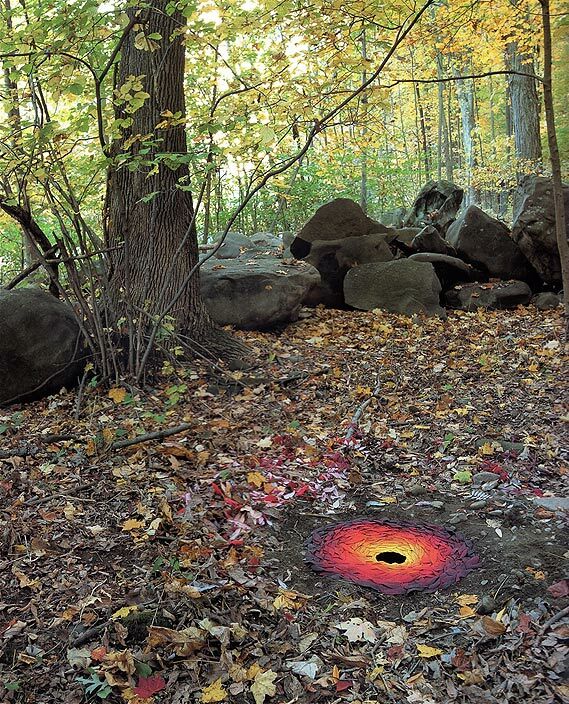 Photographs include other artful touches by Goldsworthy along the way. All photos used here are from the book WALL unless otherwise noted. Sumac leaves laid around a varmint hole.